A collection of design work. 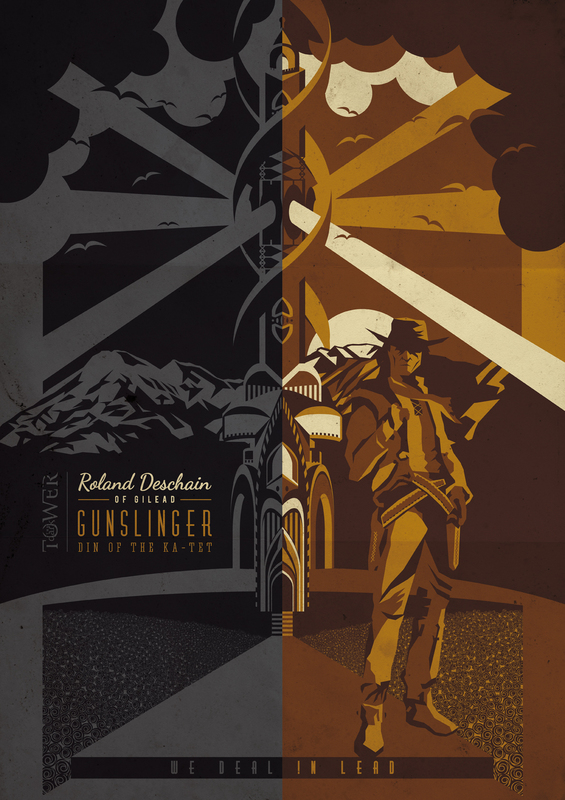 I am very proud to announce that finally after some time designing, The Dark Tower – Roland Deschain of Gilead – Gunslinger – Din of the Ka-tet poster is done 🙂 ( woo woo! sound of party poppers going off ) As you have probably already gathered, I’m very happy with this the way this poster turned out, it took quite a while I know, but I love the level of detail. Different, more muted and relevant colours to the subject piece and a slight different approach to this poster but retaining the split down the middle style.